The Moon was a straight exposure recorded with a 1,000 millimeter Mead 5.6 telescope and CanonT3i digital Camera. 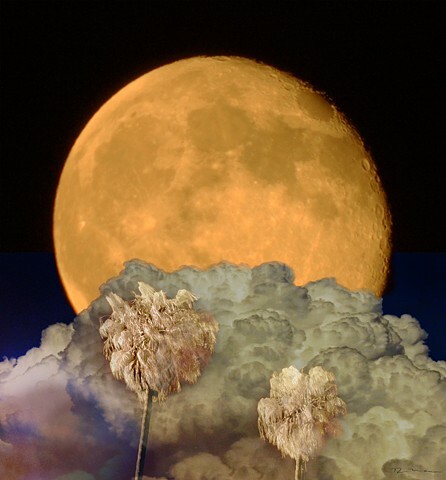 The clouds-image was a color digital Canon T3i photograph slightly posterized, and later combined with infrared palm trees recorded with a converted infrared Canon SX 260 point and shoot pocket camera. All three images were joined together in Photoshop CS3.